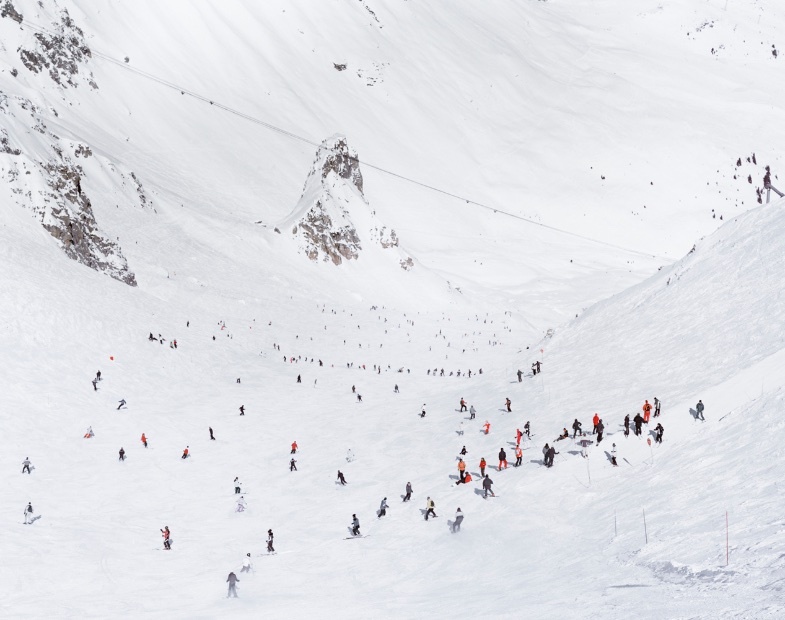 In this series, called Crowded Slopes, I explore the tension between man’s attempt to shape the alpine environment and our vulnerability confronted with an inability to control its natural forces. 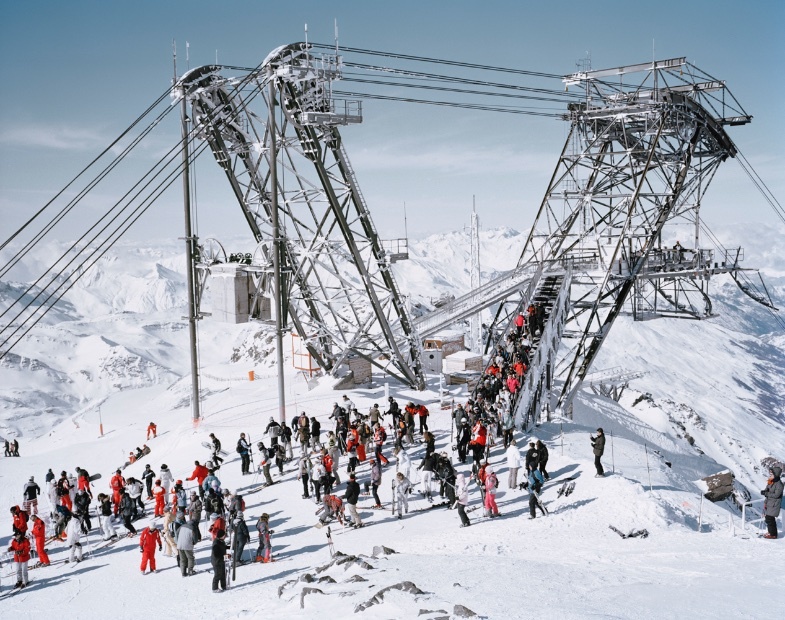 In contrast with 19th century romantics who were awed by the mysterious power of nature and poignantly aware of man’s relative insignificance, the expanding leisure class of the past century has attempted to tame these forces and create a recreational safety zone. 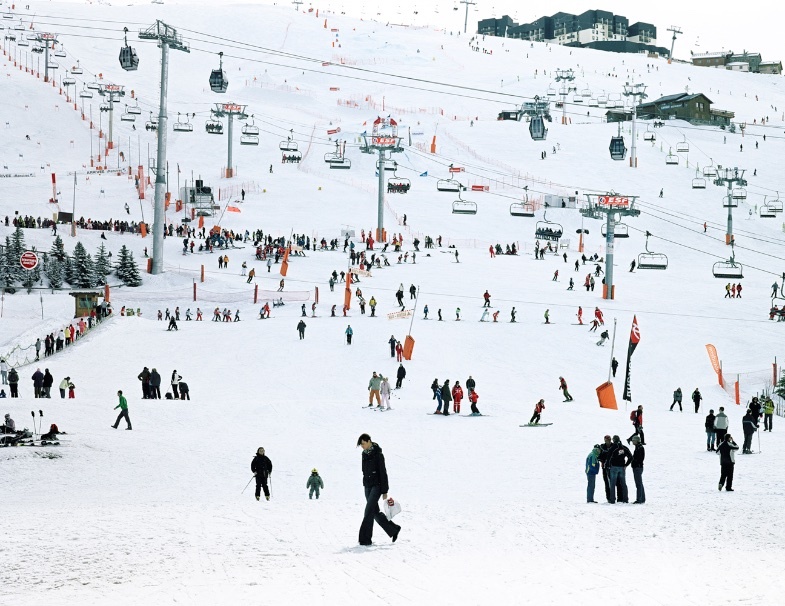 Ski resorts with easy accessibility, urban density and architecture, snowmaking, piste grooming and avalanche blasting, create an illusion of security. 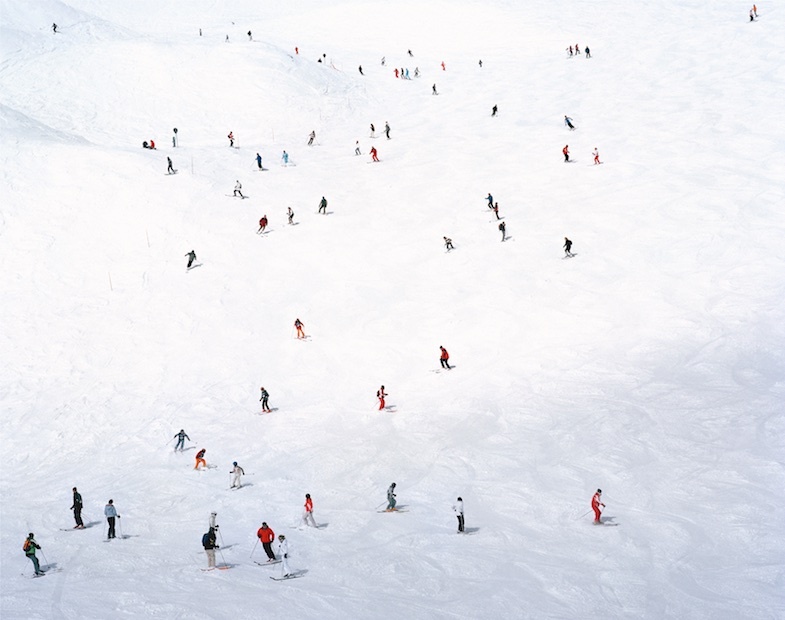 The predictability bordering on absurdity of human behavior is apparent in skiers’ desire to herd together, move as a pack and remain within a comfort zone, avoiding ‘forbidden’ areas. As a microcosm of human behavior, this highlights man’s urge to socialise, colonise and dominate versus the romantic quest for solitary and contemplative experiences. 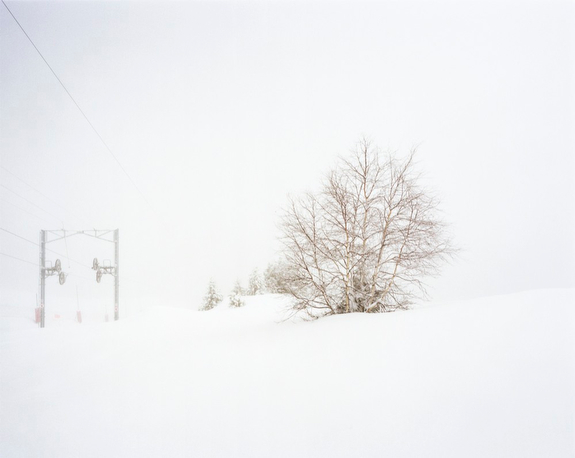 Man’s relationship with the alpine environment continues to provide the principal theme to this ongoing body of work, titled The New Wilderness. 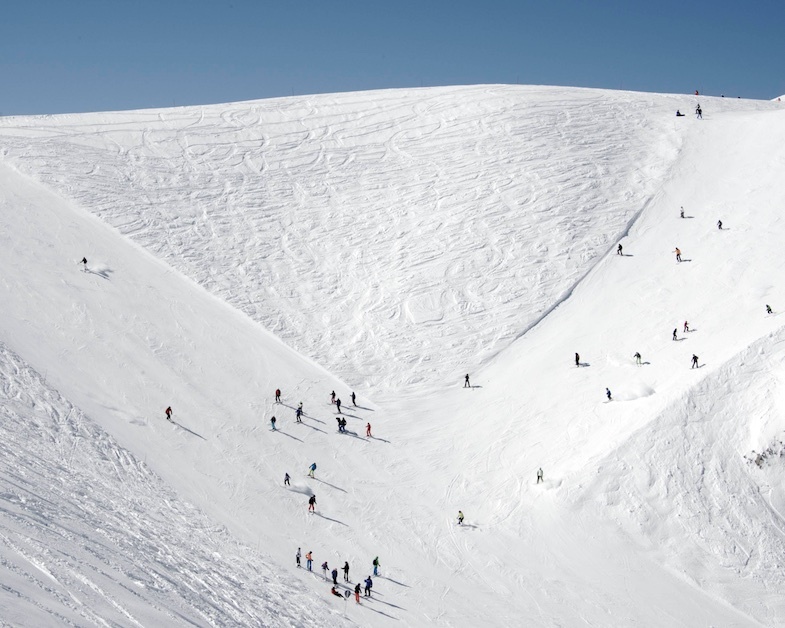 But unlike Crowded Slopes, in which I look more at man’s need to control and dominate, here I am focussed on our ultimate insignificance and vulnerability in the face of the natural world. 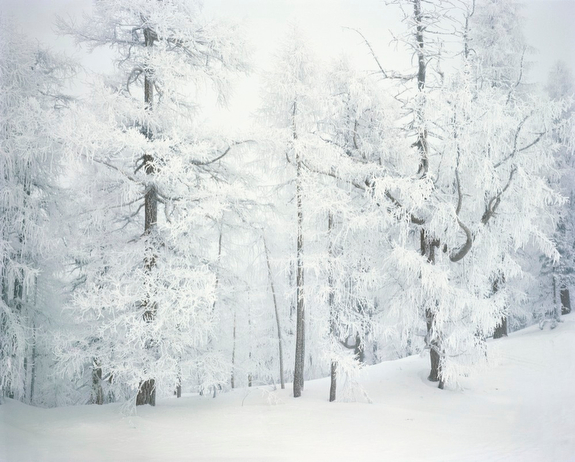 In this way, I am more directly inspired by the Romantic tradition through examination of that which remains of the experience of silence and solitude, feelings that are implicit in large areas of empty space, and our small human presence in the mystical of the landscape. 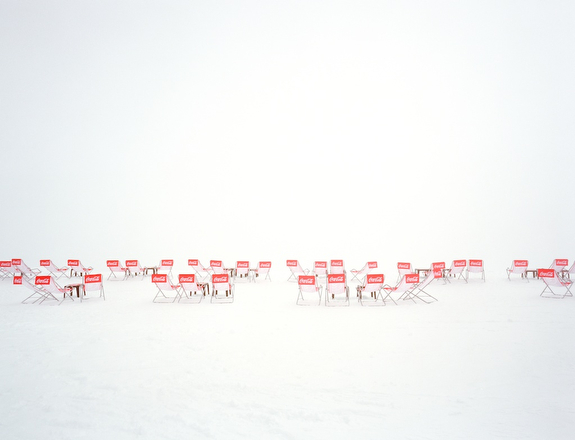 Unlike the work of the German Romantics and American 19th-century artists and writers however, these images seek to document more contemporary concerns for the environment and the traces we leave.